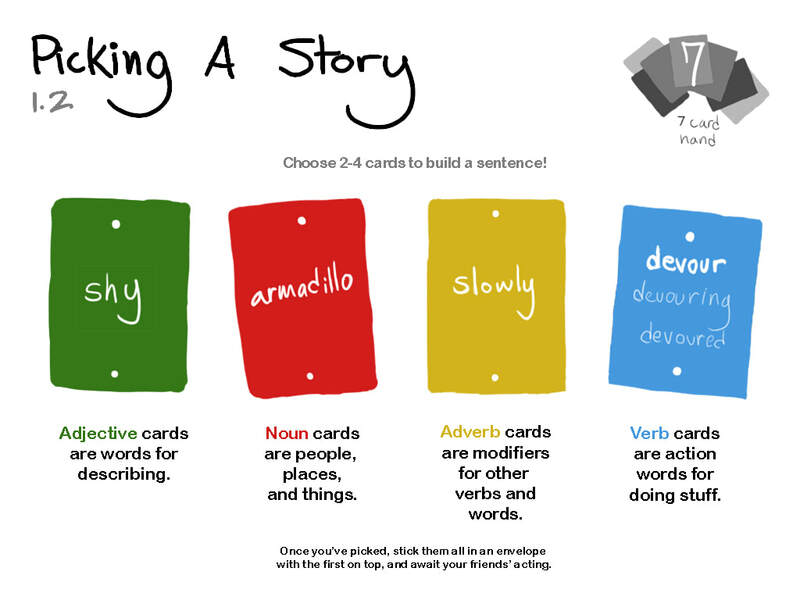 Untoried is a card game for _ players. This game was created as an assignment for my Game Design 1 class, and was iterated on over the course of a semester. 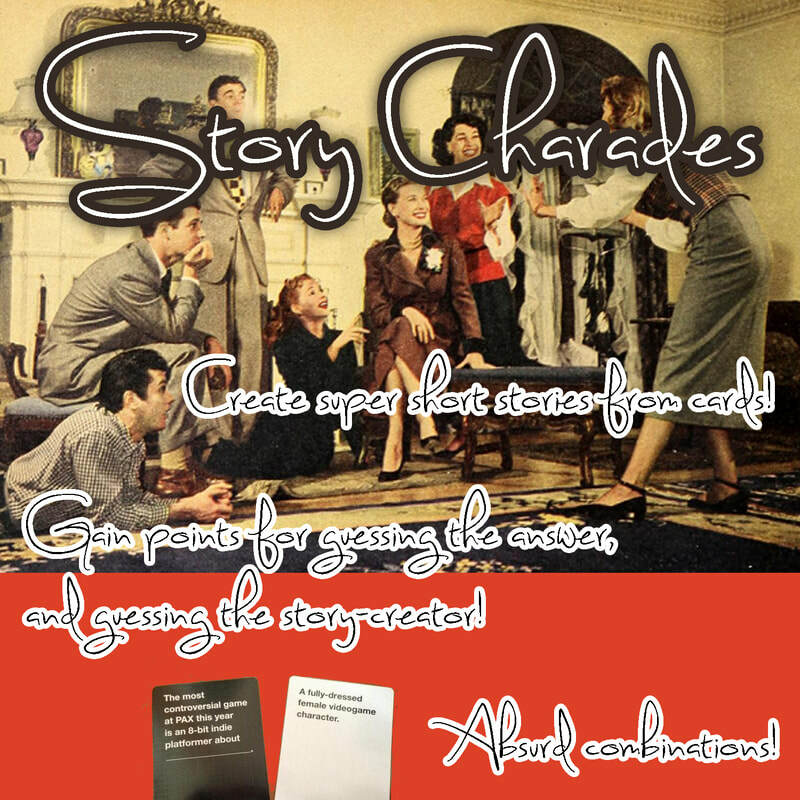 Unstoried is collaborative charades--pick cards from your hand to create a story, and watch your friends struggle to preform. All stories are looked though by the Chosen and they choose one story to act out for the crowd. This game went through a couple very different playtests, and accessibility became a main factor. Twice a participant had a condition that made playing the game a direct obstacle; they were unable to act something out in front of others. Besides this uncommon exception in play, the game was easy to grasp for most players.